Accord Structures provides contract management for a group of qualified construction companies across North America. Our goal is to provide whole building simplicity through offering single-source contracting and management to our clients. We are an innovative solutions provider using prefabricated steel stud framing systems. Our prefabricated systems are uniquely designed for each project. The Fastwalls team is dedicated to providing quality products and services to the construction industry by working with architects, designers, general contractors and developers. The groundbreaking Ecospan Composite Floor System is an innovative, simple, effective and economical solution that provides excellent value through its high-strength to weight ratio, excellent fire and sound ratings and flexible design capability. 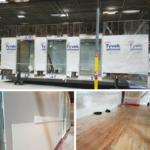 Ideally suited for multi-story residential and commercial buildings, this system incorporates the benefits of open web structural components for elevated floor construction. While most of America’s steel manufacturing clung to old blast furnace production methods requiring huge integrated steel mills, Nucor pioneered new roads with electric arc furnaces and mini-mills. We also did something else few manufacturers would ever venture to do: we stripped away management layers and gave all teammates, even hourly wage earners, respect, power and rich rewards for doing good work safely. 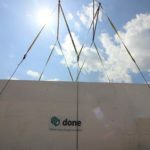 Done Group announces quick service restaurant project (QSR) in the southern United States. Done Group is pleased to announce the production of its first quick service restaurant (QSR) in Eunice, LA. 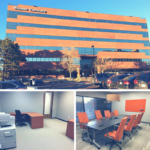 Done Group is pleased to announce the addition of its American headquarters in Denver, CO. The addition of this office will facilitate Done Group’s plans for expansion in the American market. Being in the Denver area will enable the company to maintain superior customer service to its expanding clientele.